The open houses will take place on Tuesday, Oct. 11 and Thursday, Oct. 13. 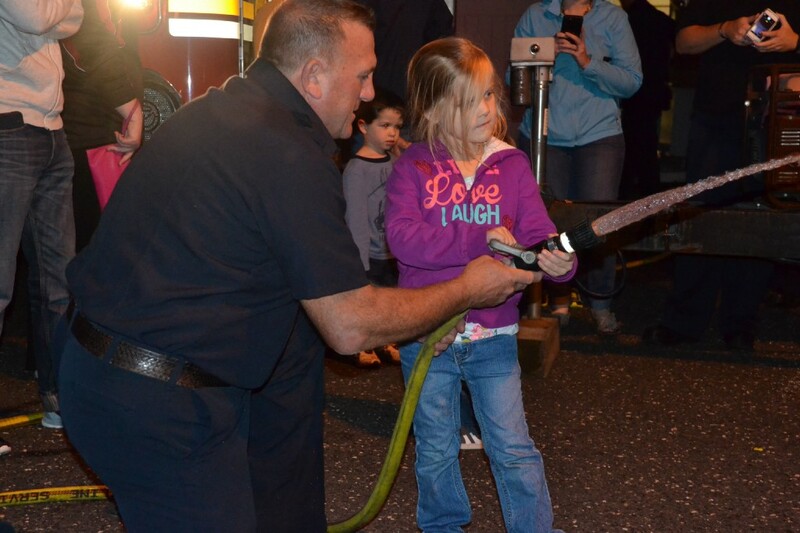 Al Ditore of the Cherry Hill Fire Department helped kids spray a fire hose at last year’s Cherry Hill Fire Department open house at Station 22. Cherry Hill Fire Department will be celebrating Fire Prevention Week with open houses at all six of its stations on Tuesday, Oct. 11 and Thursday, Oct. 13. All residents are invited to attend. Guests can meet Cherry Hill firefighters and check out some of the equipment and vehicles at each firehouse. On Tuesday, stations 4, 5 and 22 will host open houses from 6 to 7:30 p.m. Station 4 is located at 1000 Springdale Road. Station 22 is located at 951 Kings Highway North. Station 5 is located at 2328 Route 38. On Thursday, stations 2, 3 and 6 will host their open houses from 6 to 7:30 p.m. Station 2 is located at 807 Route 70 West. Station 3 is at 1100 Marlkress Road. Station 6 is located at 1501 Burnt Mill Road.